This is the official blog of Pest Control Services. Keeping your lawn luscious and green requires maintenance all throughout the year, and winter is no exception. Your winter preparation is critical for your lawn's health in the following spring; don't neglect your lawn just because the temperature is dropping and the nights are getting longer. Spending the time to properly winterize your lawn will ensure that it comes out of the long winter in top shape. As winter approaches, your lawn will begin to shift into its winter growth habit. Most grasses will prepare for the cooler season by shifting their food reserves from their leaves into their roots; the roots will remain active throughout the winter even as snow covers your lawn. Apply winter fertilizer in the fall before the first snow to give your roots plenty to feed on until spring returns. Your lawn may not grow as quickly in the fall, but it's still important to keep it mowed. Each type of grass has an optimal length; mow your lawn as necessary to keep it trimmed to this length. A properly trimmed lawn is more resistant to fungal growth while covered in snow, and maintaining your lawn's length will also keep your yard in control for the early days of spring. Allowing leaves to sit on your lawn will block sunlight and promote fungal growth on your yard. As leaves fall throughout the autumn, keep them raked up and dispose of them in your compost bin as needed. Keeping your leaves under control will prevent dead spots from forming over the winter. As freezing temperatures approach, watering your lawn may do more harm than good. Leftover water can form ice overnight, potentially damaging sensitive plant tissue. Your lawn should be able to subsist on natural precipitation; if you must water your lawn, try to do it on warmer days that don't present a freezing risk. Once the snow begins to fall, try to leave your lawn as undisturbed as possible. Snow drifts form a natural insulating blanket around your lawn, keeping the grass warmer than it would be if exposed to the cold winter air. Unprotected spots will take more damage over the winter and may experience weak or patchy growth when spring arrives. Your lawn doesn't need as much work during the winter, but it's still important to stay on top of your lawn care even as temperatures drop. Adopting good habits and preparing your lawn for winter will ensure that your lawn comes back strong with the spring. Contact Pest Control Services today for a free quote. 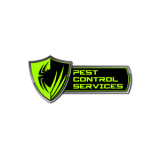 Pest Control Services, Inc. is a full service residential, commercial and industrial pest control company serving Southeastern Idaho since 1970.